We are exporter of T-Wrench. T-shape designed hex socket allows access to nuts fitted onto protruding threads. Forged Steel material in silver tone, rubber grip handle for comfortable hand grip. Honiton SS T Wrench, Size: 8-19"
We are a Supplier & Trader of Torque Wrench with Scale. - Up to size 300 = ± 3 % of the displayed value. - 65 7270 - From size 500 = ± 4 % of the displayed value. 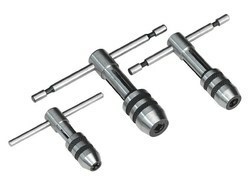 We are involved in present an exclusive range of T Tap Wrenches . Our products are available in diverse specifications that meet on exact requirements of our patrons. 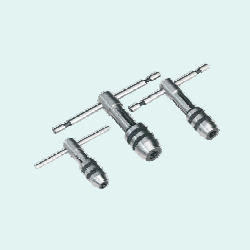 Owing to the affluent knowledge, we are capable to provide Tap Wrenches T Handle Type. Moreover, the presented series of products is properly checked on varied industry standards to make sure the longer life.